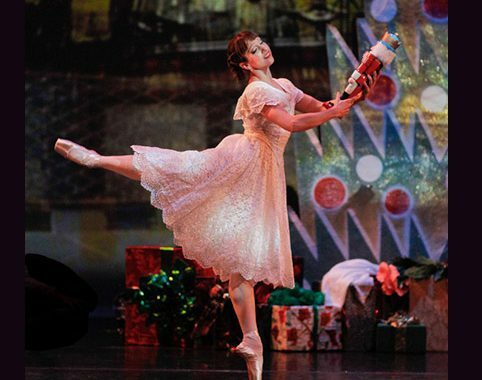 Ballet Ariel’s imaginative and beautiful interpretation of the classic holiday ballet, The Nutcracker, returns to the Lakewood Cultural Center. Tickets are on sale now for all performances. Steeped in the noble traditions of classical ballet, Ballet Ariel’s The Nutcracker is a delight for audiences of all ages. Directed by Ilena Norton, Oleg Dedogryuk, and Patricia Renzetti, and brilliantly performed by Ballet Ariel’s professional company and school, Tchaikovsky’s famous score is given new life with festive costumes and breathtaking choreography. Clara journeys with the Prince on a magical adventure of toy soldiers, dancing snowflakes and Sugar Plum fairies. With its exuberant embrace of an enchanted world, Ballet Ariel’s The Nutcracker defines the season. Ballet Ariel will perform six matinee performances at 2:00 p.m. on December 15th, 16th, 22nd, 23rd, 26th and 27th. The curtain will rise for evening performances at 7:00 p.m., on December 21st, 22nd, and 26th. Tickets can be purchased at www.Lakewood.org/Tickets, 303-987-7845 or at the Lakewood Cultural Center Box Office, 470 S. Allison Parkway.